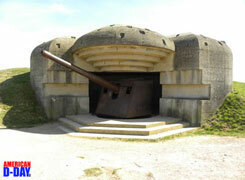 Gold Beach was the code name of one of the D-day landing beaches. Gold Beach lay in the area assigned to the 50th British Infantry Division commanded by Major General Douglas Alexander Graham. Gold Beach had three main assault sectors – these were designated (from west to east): Item, Jig (split into sections Green and Red), and King (also in two sections named Green and Red). A fourth, named How, was not used as a landing area. The beach was to be assaulted by the 50th Division between Le Hamel and Ver sur Mer. H-Hour for the landing at Gold Beach was set at 0725 hrs on King sector (50 minutes later than in the American sector to allow for the difference in the west to east tidal surge). The British were aware that the beach was littered with defences – anti-tank obstacles and mines – which were to be dealt with by engineers in the first wave. However, due to a strong north-westerly wind, sea levels along the coast were higher than had been anticipated. This higher tide covered many of the mines and other obstacles. Those engineers that did reach the obstacles soon came under enemy fire which prevented them from being cleared. A decision was taken not to launch the amphibious DD tanks from their LCTs but to run them directly onto the beach. The first wave to land came in under heavy fire from the German defenders and suffered casualties. The 1st Battalion of the Hampshire Regiment lost its Commanding Officer and Second-in-Command within minutes of landing. Following the Hampshires were the Commandos of the 4th Special Service Brigade. They too suffered badly during the run-in and only one of their allotted landing craft actually reached the shore.